We sit on the surface of Earth, but what lies deep below our planet’s crust can be just as mysterious as distant objects floating out in space. Fortunately, neutrinos offer a probe of the unknown beneath our feet. Unperturbed by magnetism or mass in their paths, neutrinos are perhaps the ultimate messengers of the universe. Once found, the particles point back to their origins, providing information about places scientists can’t otherwise see. 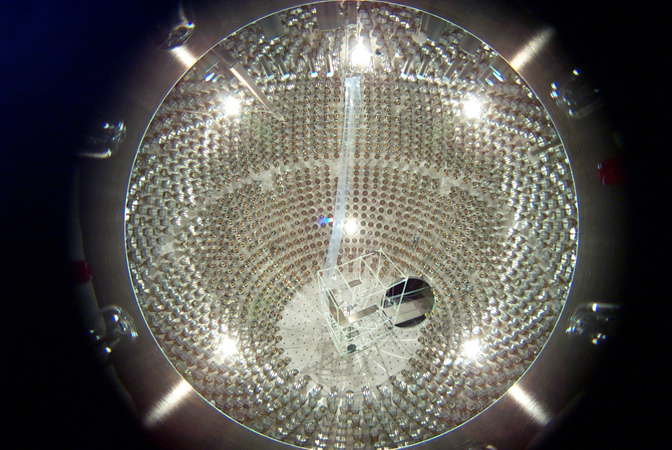 Investigating these neutrinos provides insight into both the particles and their hidden sources. Because we know that neutrinos are born of particle decay, the number of neutrinos coming from within Earth, or geoneutrinos, can tell researchers how much of certain radioactive materials (such as thorium and uranium) lurk below. This information can inform geophysicists interested in better knowing the composition of our planet, how Earth formed in our solar system, and what its future might look like. 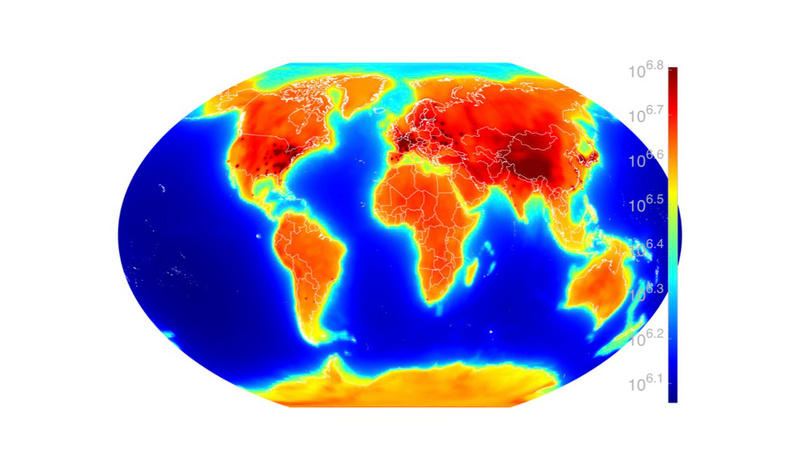 The study of geoneutrinos for geophysics is still in its infancy but holds promise for the future. Geoneutrinos are typically low-energy electron antineutrinos, and scientists need to use large detectors to capture them. This allows them to learn about the composition of our planet without trying to drill miles below the surface. There are trillions of watts of heat coming from the innards of our planet, but scientists aren’t sure how much of it comes from radioactive decay or how it is distributed. This heat is responsible for everything from creating the molten iron core that generates Earth’s magnetic field to the spread of the sea floor and motion of the continents, and scientists want to know what makes it tick. Scientists at the KamLAND experiment in Japan and the Borexino detector in Italy have been studying geoneutrinos, though not exclusively. Because neutrinos are so elusive, they don’t capture very many events each year. 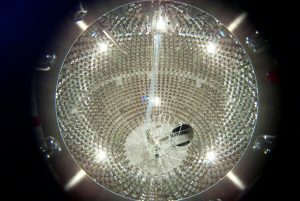 Additional scintillator detectors, which capture light produced by neutrino interactions, have been proposed for a clearer look inside the Earth. Researchers spot geoneutrinos when an antineutrino smacks into the material in a detector, causing a reaction called inverse beta decay. It transforms a proton into a neutron and positron, the antimatter version of an electron. The positron quickly annihilates with an electron inside the detector, producing flashes of light that are then recorded. Another signal emerges when the neutron is captured by a nearby proton. By looking for the twin signals, scientists can rule out problematic background noise and confirm the neutrino interaction with high accuracy.